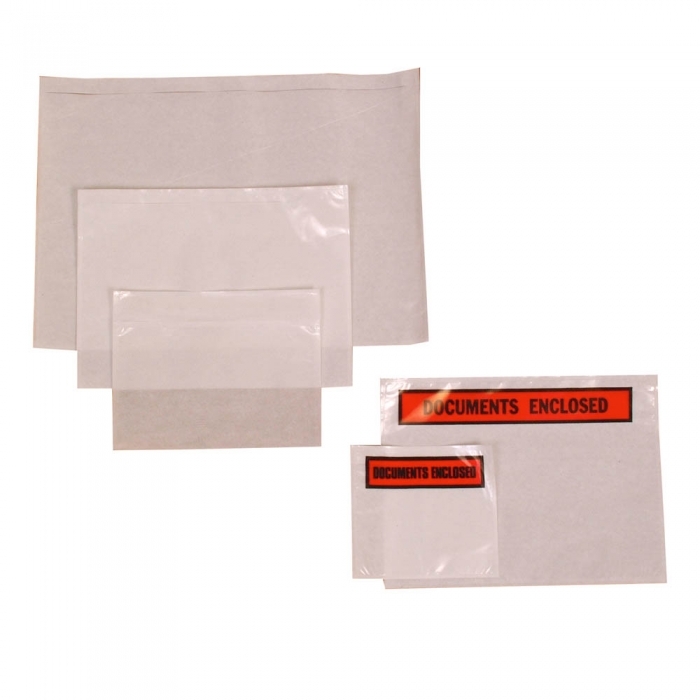 Document Enclosed Pouches (A6 - 4.5 x 6.5 - 1000 Box). Plain or printed "Documents Enclosed". Available in various sizes. Box quantity of 1000 wallets. Plain or Printed: Select Plain or Printed Plain Printed "Documents Enclosed"